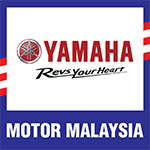 Mohd Haziq Mohd Fairues is set for another would-be podium after hitting fastest time in Timed Practice session for the Yamaha PETRONAS Super Series in the fourth leg of the 2015 PETRONAS AAM Malaysian Cub Prix Championship, held in Kuala Terengganu, Terengganu. A straight win since the season opener, Haziq Fairues this time grabbed top spot on the time chart with 46.840s, slightly quicker than second man Mohd Shahfiq Nizwan (47.668s) to book the front row sit on the grid. A rare finish by Mohd Syamim Abdul Rani placed himself third fastest behind the frontrunners in 47.880s. Fourth and fifth fastest went to Mohd Shahfiq Shahrun Nizam (47.888s) and Imran Hadi Mohd Iswami (48.062s). With track conditions expected to be a clear run for all, the Yamaha boys will continue displaying the skills they learn to outdo one another come race day.